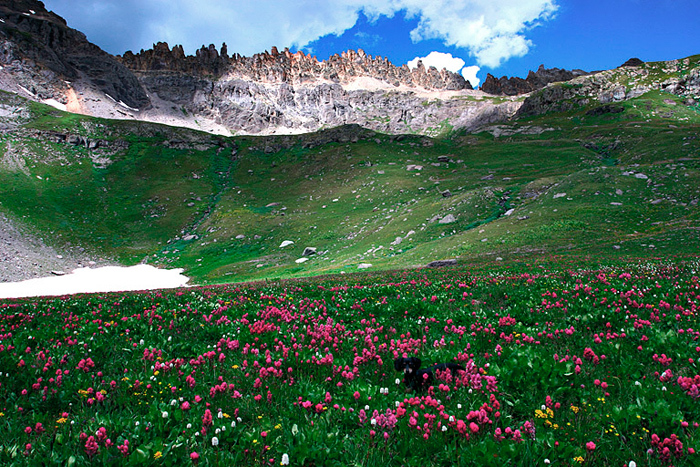 This photo of my dog Magic was taken above the timberline in Governors Basin near Ouray. I like to photograph wildflowers on partly cloudy or overcast days, because the diffused light reveals fine detail and saturates the color. Photo © copyright by Mike Barton.